We are pleased to announce that our Great Britain XII has been confirmed as running. 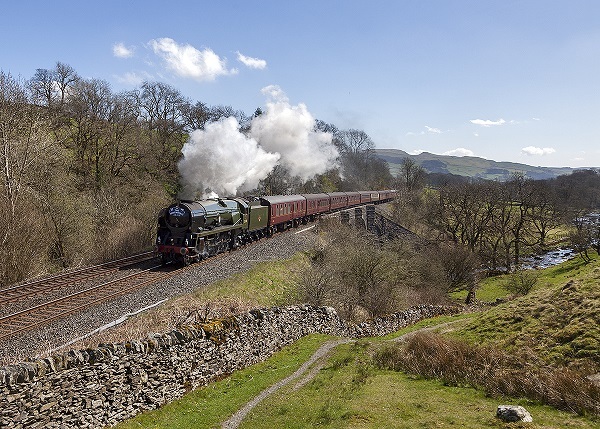 Our prestigious Great Britain tour is as ever packed with great steam highlights and covers the full span of Britain's culture, history and incredible landscapes. Tour highlights for this year include The Devon Banks, The West Somerset Railway, The Welsh Marches, double headed steam from Preston to Edinburgh, steam to Stranraer, 35018 British India Line hauling from Carlisle to Scarborough via the Settle and Carlisle line and 60103 Flying Scotsman from York to London Paddington on the final leg on a route through Derby, Banbury and Oxford. We still have spaces available on the tour in First and Premier class. For full details of the tour and to place a booking please use the link.